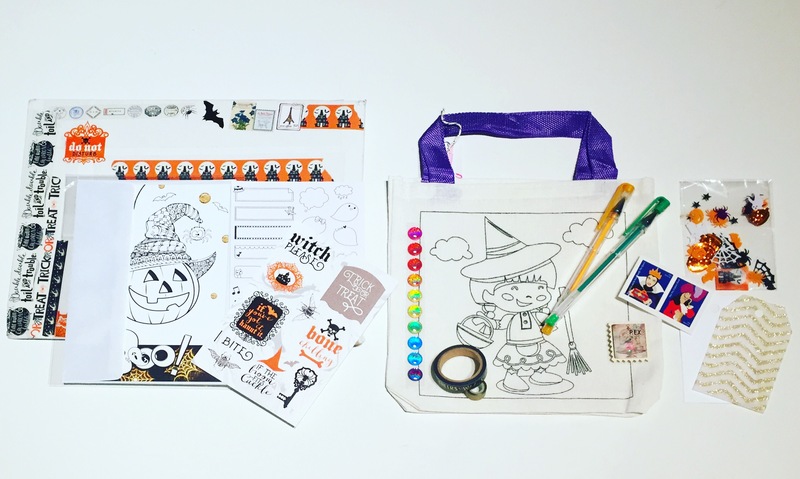 Canvas tote – super cute Halloween trick or treat tote to colour! Embellishments – we got 2 FirstClass stamps, tons of stickers, sparkles, Halloween style confetti, so many cute things to add to a card to make it that much more fun! Washi tape – loving these 2 washi tapes, never knew there were so many uses for washi tape, you can use it as decoration, tape, creat fun designs. We have a Halloween style black on and a gold glitter one! Gel pens – my obsession in high school and still love them for colouring.